Residents in a Houston suburb will not receive funds donated for Hurricane Harvey relief efforts if they support boycotting Israel, according to a funding application form issued in the wake of the devastating storm. The city of Dickinson, Texas, told individuals and businesses on Monday that they are now accepting applications for “grants from the fund generously donated to the Dickinson Harvey Relief Fund” for storm damage repair. In order to apply for the grant, however, applicants must agree to a number of clauses, one of which is asserting that they do not boycott Israel. “By executing this Agreement below, the Applicant verifies that the Applicant: (1) does not boycott Israel; and (2) will not boycott Israel during the term of this Agreement,” read the application form. The American Civil Liberties Union (ACLU) criticized the city’s condition as a violation of free speech rights. “Dickinson’s requirement is an egregious violation of the First Amendment, reminiscent of McCarthy-era loyalty oaths requiring Americans to disavow membership in the Communist party and other forms of ‘subversive’ activity,” said ACLU of Texas Legal Director Andre Segura. The clause stems from a Texas law passed in May, which became effective on September 1, that requires all state contractors to verify in writing that they are not participating in boycotts of Israel. “As Israel’s No. 1 trading partner in the United States, Texas is proud to reaffirm its support for the people of Israel and we will continue to build on our historic partnership... Anti-Israel policies are anti-Texas policies, and we will not tolerate such actions against an important ally," said Governor Greg Abbott at the signing ceremony. 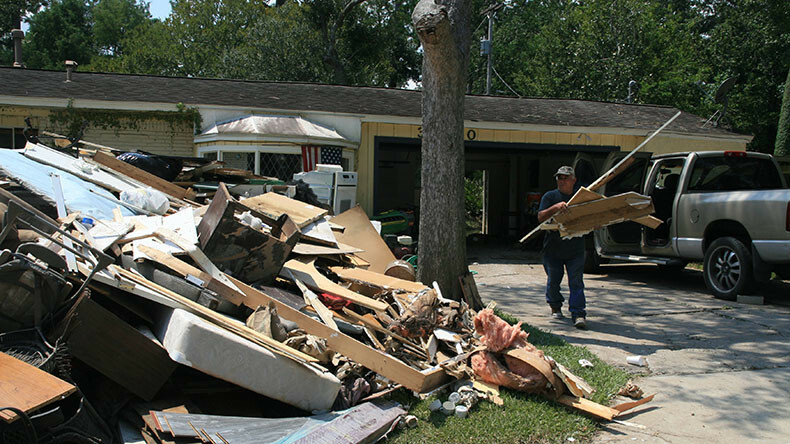 Dickinson is one of the hardest hit towns in the Houston area, according to a September report from KTRK. Some 7,000 homes and 88 businesses were seriously damaged, said the local police department. The small town is home to just 20,000 people. Dickinson Mayor Julie Masters said the city is simply "following State law" before adding, "please don't crucify the messenger," in a statement to RT.com. "We are currently seeking clarification on the language from the State, but as it reads currently, we are compelled to follow the Law," said Masters.